Please welcome Becky Mauldin, N.D. of Pure Vitality! Becky is passionate about helping others regain their health and stay healthy. Becky knows first hand what it’s like to deal with chronic illnesses and allergies and she want to help people overcome them. You can read her inspiring story of how she overcame a life threatening illness through prayer and alternative medicine here. Is your family protesting your new healthy way of eating? 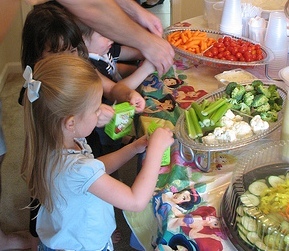 It can be difficult to transition to a healthy diet when you have children. As you may already know, changing your whole family’s eating habits overnight is likely to cause loud opposition. No one likes having their favorite foods snatched away. Instead, proceed gradually with just small changes at a time. I have had to learn these things the hard way, so here are some tips to make your transition easier. 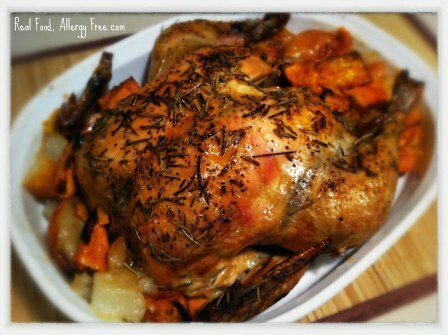 Rosemary Chicken - Recipe coming soon! 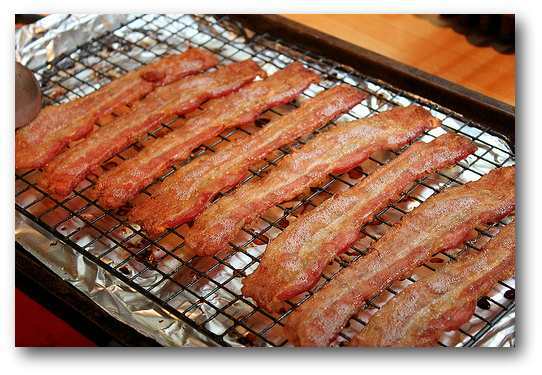 I cannot cook bacon in a skillet. I don’t know why, but I can never get it to cook evenly. I hate standing over the hot skillet and being hit by flying bacon grease. Plus, it takes forever to cook a whole pound when you only have one skillet. Several years back, I found the perfect solution. 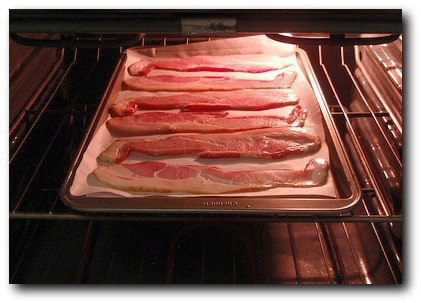 Cook the bacon in the oven! 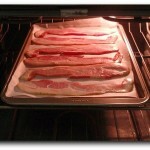 The oven does a much better job of cooking the bacon evenly and cooks a whole pound at the same time! 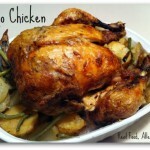 No more standing over the hot skillet and dodging hot grease. 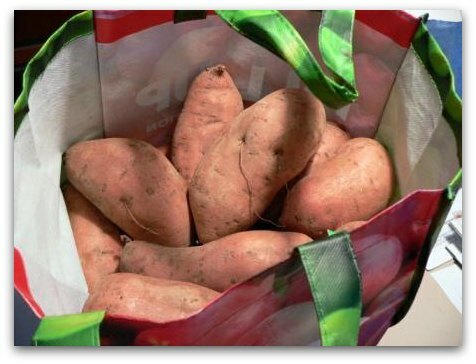 Did you know many consider sweet potatoes to be one of the most nutritious vegetables we eat? 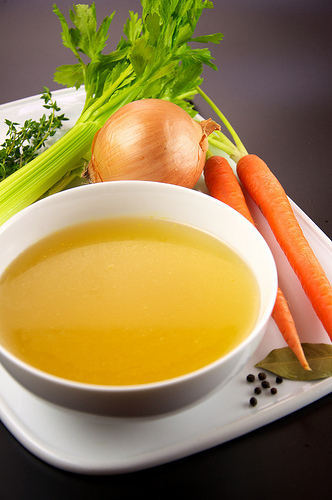 They are high in numerous vitamins and minerals, specifically antioxidants Vitamin A and C. These nutrients are best absorbed with a little healthy fat. You can read more about the nutritional content of sweet potatoes here. Now is the time to stock up on sweet potatoes. 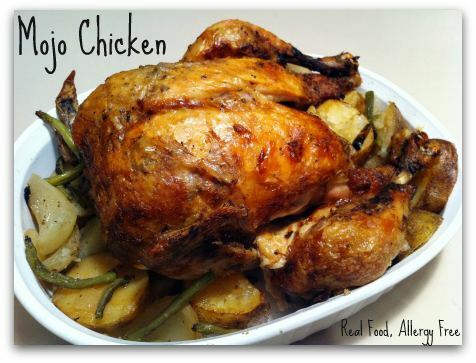 They are normally $.98/lb at Wal-Mart but they are currently $.28 per pound at Wal-Mart and $.25 per pound at Meijer. In the past, Wal-Mart has kept that pricing through the holidays, so it’s not too late to get in on the deal. I like to buy large quantities, cook them and freeze them for later. In fact, I just picked up about 22 pounds for $6. Making powdered sucanat is easy! 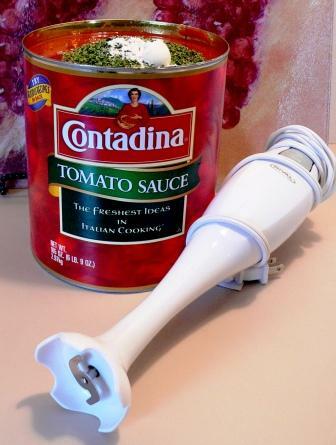 Just dump a cup or so into a blender and blend for a few seconds. Be careful not to blend it too long or your blender will get hot and the sugar will start to melt. You can use the powdered sucanat in your favorite frosting recipe. It works great in chocolate frosting and turns vanilla frosting into something more like yummy caramel frosting. You will definitely want to try it in this apple cider glaze poured over gluten-free 2 ingredient pumpkin bread. You may also enjoy this allergy-friendly Hot Fudge Cake and Dairy-Free Caramel Dip/Sauce. How to Peel a Whole Head of Garlic in Less Than 10 Seconds! After I posted how to roast garlic, I stumbled on this video: How to Peel a Head of Garlic in Less Than 10 Seconds. I can’t wait to try this! You haven’t had garlic bread ’till you’ve had toasted bread smeared with warm, freshly roasted garlic. 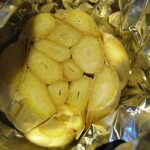 Roasting garlic is very simple. 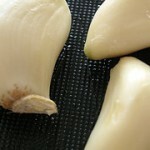 Chop the head off the garlic, exposing the cloves. Peel the outermost layer of the skin. 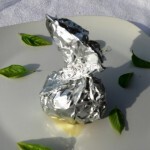 Drizzle some olive oil on a small piece of aluminium foil. Place the garlic head in the olive oil. Drizzle more olive oil onto the garlic oil and salt. 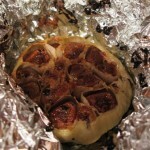 Wrap the garlic in the foil and place on a baking sheet or in a muffin tin. Roast for 30 minutes or until the cloves are soft. 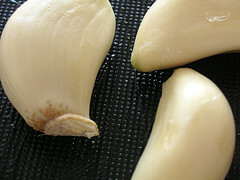 When cool enough to handle, use a cocktail fork to remove the garlic cloves or squeeze the head onto toast or dish and spread with a knife. 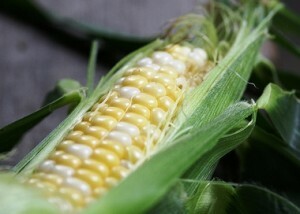 We found a local farmer who has the most delicious sweet corn. I decided I wanted some year round, so it was time to learn how to freeze corn. I bought a bushel of corn which is about 70 ears. We ate and shared more than half of it and froze the rest. Freezing corn is not a difficult process. You will need to “blanch” it before freezing it. This means you need to cook the corn a bit to stop the enzymes from breaking down the corn while in storage. 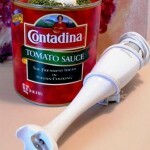 Have you guys seen this Salad in a Jar site? I have to say this is brilliant. 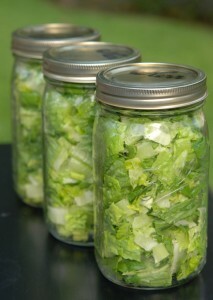 Paula writes about how she preps a week or two worth of lettuce and seals them in individual jars. Then she has no excuse not to eat a fresh salad for lunch everyday. She vacuum seals her jars. I have read elsewhere that sealing the jars is not necessary. Stored salad in unsealed jars lasts a long time as well, just not as long as the sealed jars. Have you tried storing salad in jars?